Our team are a lively and passionate lot. W&T’s staff come from a variety of backgrounds in theatre, the arts and the social sector. Our Board is made up of representatives from diverse sectors; individuals who have contributed much of their time and expertise to supporting the company’s continued success. Janice is a founder member of the company and has been the Artistic Director for the past 20 years. She has written, directed and performed in many projects for the company. Janice is a trained teacher and has worked both in mainstream education and as an education project worker for Barnardos. In 2017 Janice was awarded the British Empire Medal for services to Community Arts in the West Midlands. She is also a successful performer in her own right and has featured in series such as Peter Kay’s Phoenix Nights (Channel 4), Dead Man Weds (ITV) and Thin Ice (BBC2) as well as appearing twice in Coronation Street. Her recent theatre roles include include White Open Spaces (Pentabus), A Taste of Honey (New Vic Theatre, Stoke) and Tartuffe (The Rep, Birmingham). Her alter-ego, Mrs. Barbara Nice is a well loved comedy circuit headliner as well as a Birmingham Icon. To find out about upcoming gigs have a look at her Facebook or Twitter. Jess has been at Women & Theatre for over 14 years with three brief breaks when she had her children Cassie, Esther & Luke. Jess also freelances as a producer of early years work, most recently with Knees and Toes Theatre on their production of Mr Silly Pancake & the land of cake & biscuits. Previously she worked as Marketing & Information Officer at DanceXchange. She also has extensive experience of hands-on theatre work having performed and stage managed a wide range of small-scale and pub theatre productions with local companies such as PD, Maverick and Rear Window. Jess grew up in Birmingham having moved here from London at the age of 8. 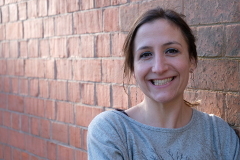 After graduating from Sheffield University with a English Literature Degree, she returned to Birmingham to pursue a career in arts administration. 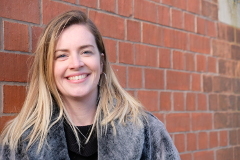 Rosie joined Women & Theatre in December 2018. Rosie is a creative producer and project manager. Alongside her role at W&T she is also the co-founder and co-Director of community arts company MotherShip who seek to connect communities through culture and creativity, with a particular focus on women, mothers and children. She has previously worked for DanceXchange, Arts Council England and Live & Local and DASH Arts. 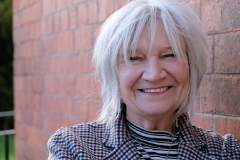 She is the founder and Chair of charitable community group Kings Heath Action for Refugees. Jo joined Women & Theatre as Lead Artist Practitioner in January 2018. Previously Jo was the Co-Artistic Director of Birmingham based Tin Box Theatre Company for five years. The company specialised in collaboratively devising theatre which explored inventive uses of storytelling, visual theatre and site-specific performance. Jo has also done a range of freelance Directing, Facilitating and project management with a strong focus on education and community settings. She has also worked as a visiting Director at the University of Birmingham and a visiting lecturer at Wolverhampton and Worcester Universities. 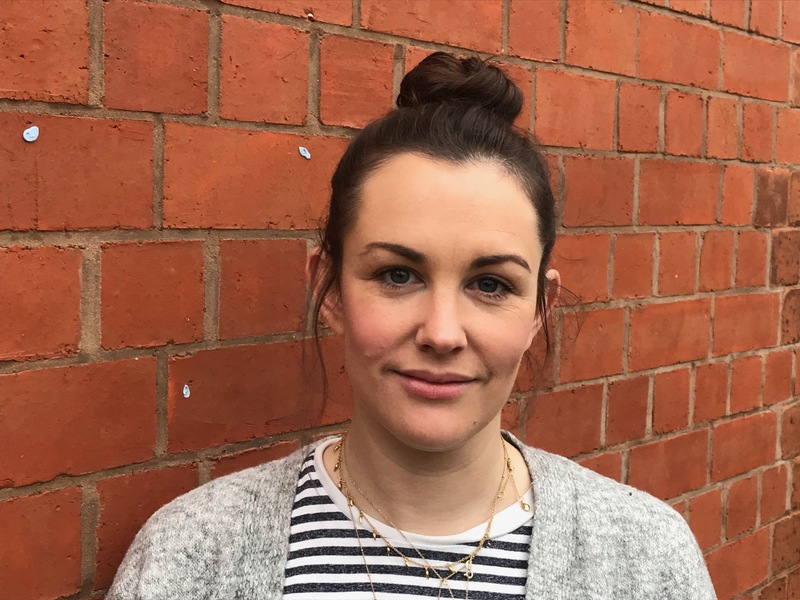 As well as her work with W&T she freelances for a number of organisations in the Midlands including Birmingham REP, Birmingham Hippodrome and the Core at Corby Cube. She also helps to co-run PILOT Nights, a work-in-progress platform for theatre makers. Matt joined Women & Theatre in January 2018, having previously worked at MAC in their marketing team and interned at Writing West Midlands. 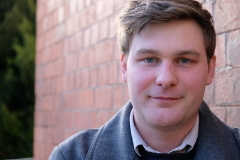 He also has experience in fringe theatre having written and produced theatre and comedy events in Liverpool, Manchester and Edinburgh before completing an MRes in Playwriting Studies at the University of Birmingham. As well as his work for with W&T he also works as a freelance playwright.